W209 CLK55 AMG Rear Diffuser? CLK55 AMG, CLK63 AMG (W208, W209) Discuss the past, present and future CLK55 AMG and the CLK63 AMG. Long time lurker. 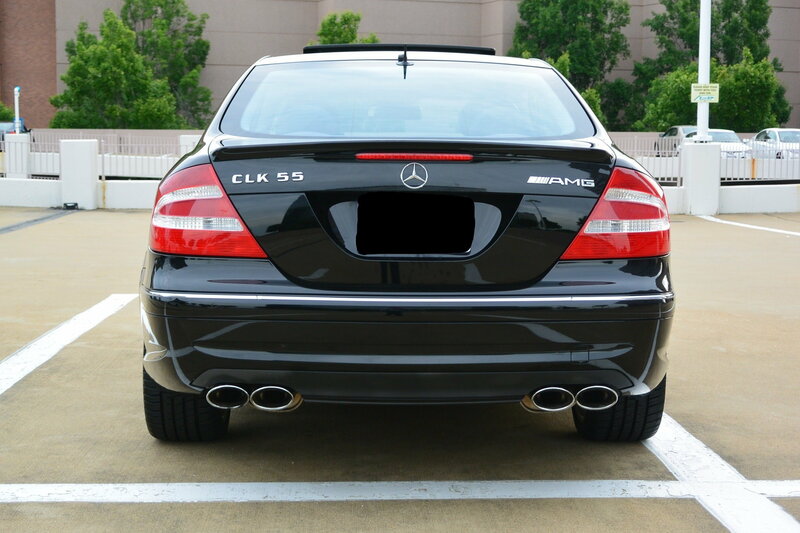 Looking to see where I can buy a carbon fiber rear diffuser for my 2005 CLK55 AMG with quad exhaust. Any help is appreciated. If your car is cabriolet it won't work. The 05 comes with Quad from factory. I have a genuine CLK63 Black Series carbon fiber rear diffuser. It has some minor damages on the bottom due to bumping into something while backing into a parking spot. I don't know if it will fit your car. Let me know if you are interested. I have the quad exhaust. I do not have a cabriolet CLK. That diffuser will not fit. Quick Reply: W209 CLK55 AMG Rear Diffuser?